Don't remember where I got it but this slice was very breadsy and unbalanced in terms of ingredients: way too much bread [dryish dough] with thin layer of sauce and a even less of cheese. Way too little cheese. They also sprinkled-on some green/basil bits. I took one bite out of it and ate the rest the next day after I heated it in the oven. 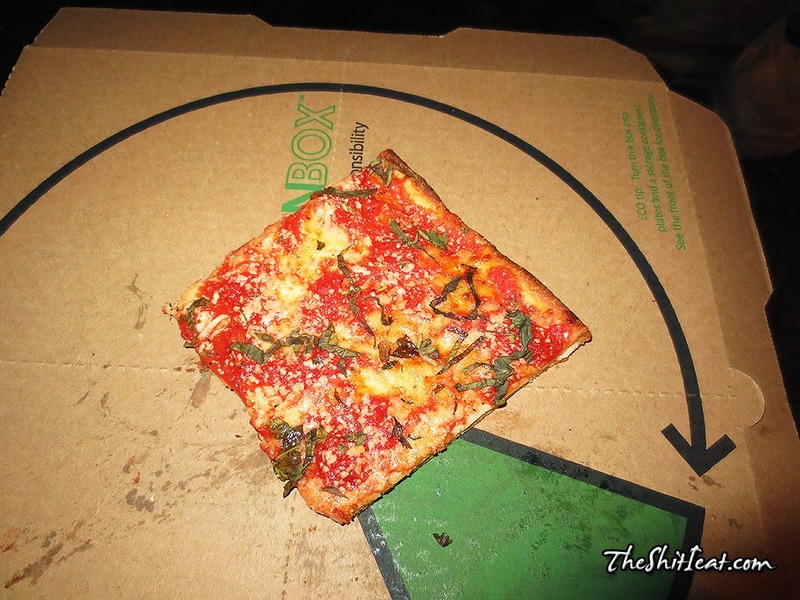 I did not enjoyed this square slice.